OSWEGO – Kingsford Park Elementary School celebrated the end of the year with the presentation of numerous awards from Murdock’s and The Wall. 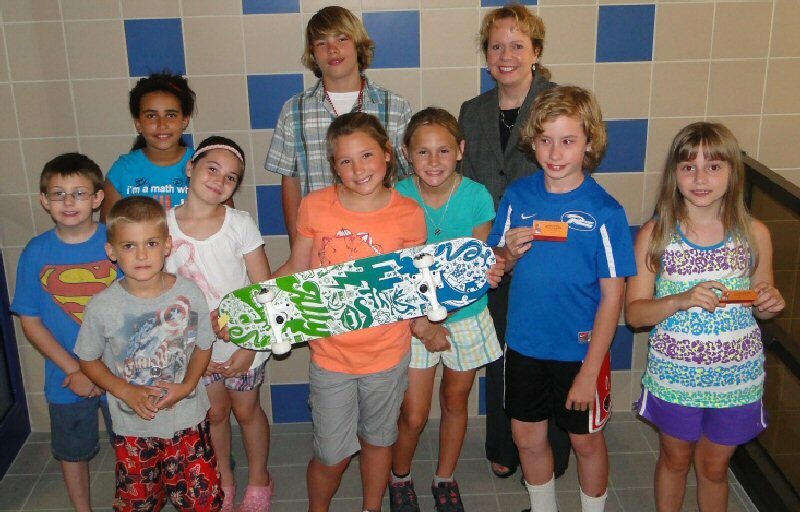 Sophia Greene received the skate board and all the other students took home gift certificates for The Wall as all were result of positive and responsible behavior. In front are Jack Donovan, Lillian Lee, Greene, Mickayla McMahon, Harley Brinkman and Hannah Hauser. In back are Mason Bouchard, Avalon Photos, Zackery Sanders and KPS Principal Mary Volkomer.